October 2 is the Memorial of the Holy Guardian Angels, and so the beautiful poem, “Guardian Angel,” by Blessed John Henry Newman, is appropriate for this week in which we have commemorated our faithful friends. 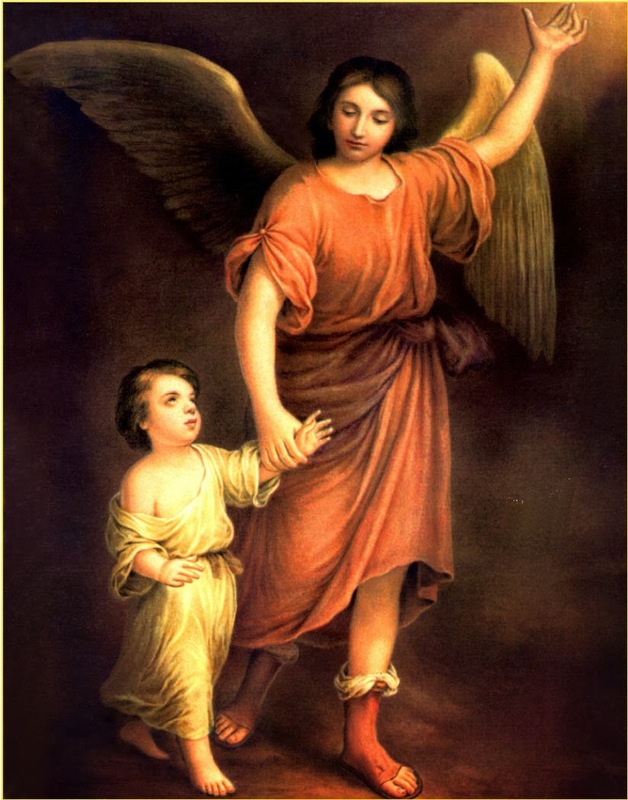 In addition, in this week we recall the foundation of Opus Dei on Oct 2,1928 – on the feast of the Guardian Angels. St Josemaria’s devotion to these angels, whom he saw as celestial protectors and messengers, went back to his childhood. Many saints, like St. Josemaría and Blessed Newman, have had special devotion to these dear companions, assigned to us at birth. In this moving poem, Blessed Newman tells us of his love for his angel, but he also gives sound Catholic teaching on guardian angels. “Guardian Angel” is one of Newman’s hymn poems, written after he had established the Oratory of St. Philip Neri in England. Newman’s earlier poetry, before he converted to Catholicism, was written during the Oxford Movement, and is often complex and can be difficult to understand. The early poetry was written for a different purpose than his later poetry; these later poems he wrote expressly to be sung as hymns, with the intent that they be easy to understand, especially by children. These hymn poems are straightforward and charming in their lyrical language. “Guardian Angel” is another fine example of Newman’s hymn poems; the verses need little explanation. This poem can be sung to several hymn tunes, since it is in Common Meter. And blest, as thou hast blest. Yet bear each deed of Hell. My sin is burn’d away. Thy wings shall waft me home. (The Oratory, 1853). Blessed Newman calls his angel his oldest friend, who guided and helped him during every moment of his childhood, a friend who knows him completely. He thanks his angel for whispering in his ear, giving him guidance, calling him back when he had strayed. And then Newman reminds us that our guardian angels will remain with us, throughout life, and on our deathbed they will be there for us as well, lending us courage and strength in our last moments. Newman would develop this theme more fully in “The Dream of Gerontius” written in 1865,13 years after writing the poem to his guardian angel. “The Dream of Gerontius,” his most famous poem, is a poem about the soul at the moment of death and ensuing judgment. The role of angels, particularly of the guardian angel, is one of the delightful aspects of “Gerontius.” The guardian angel accompanies Gerontius into Purgatory, but already in his earlier poem Newman teaches as well that the angel will remain by his side as his sin is “burned away” in the “golden furnace,” that is, Purgatory. The poem “Guardian Angel” ends with a beautiful image, that of the guardian angel, whom Newman calls “brother of my soul” carrying him in his arms, the angel’s wings wafting him home, to heaven. Do you remember your guardian angel as the ”brother of your soul”? Do you ask him for assistance? Guardian Angels, pray for us! Help guide us Home!